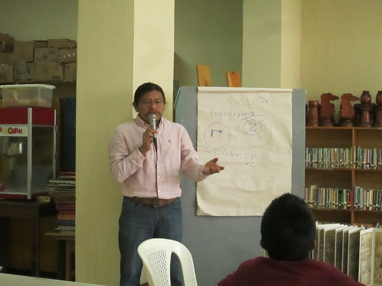 As part of the ancient culture of the Maya and as a participant in our changing culture, in my quest to establish a sustainable and inclusive development with the direct participation of the different members of organized civil society, specifically with the organized youth group called “Youth Without Drugs” in the municipality of San Pedro La Laguna, Solola, Guatemala, I established and developed this workshop on the system of Ojer Tz’ijb’ including the subject of the Maya calendar from the codices, the sacred calendar Cholq’iij. Develop the first workshop for the youth group “Youth Without Drugs” on Maya writing and the calendar from the codices, Cholq’iij, for establishing first-hand information about the current cultural situation and contemporary youth culture and to take action within the guidelines and framework of our community leaders to reclaim the use of our calendar and our basic knowledge of ancient writing. a) Strengthen the information base within the youth culture in the areas where they live and to develop their own analysis of the reality into which they have been put, to find balance in their lives. b) Evaluate the losses incurred in their own culture and to identify solutions and to reclaim and insist on new cultural practices from the ancient Mayan calendar. 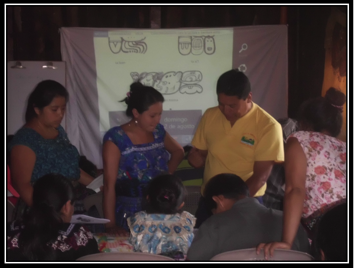 c) Promote the participation and organizational strengthening of youth as agents of change, to identify problems and needs of the municipality with cultural relevance, and to search for alternative solutions to improve the living conditions of the inhabitants, and fot the optimal development of the population based on the use of time and space (numbering and Maya calendar). 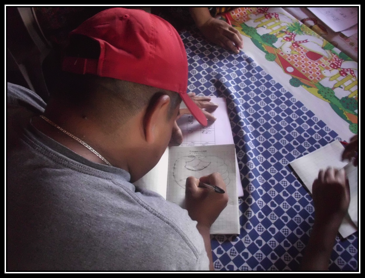 We worked with 38 people from the municipality of San Pedro La Laguna, Sololá, Guatemala, from the youth group “Youth Without Drugs.” The first part of the topic was Ojer Tz’ijb’ “Ancient Writing” from 8 am to 1 pm, and the second part was the calendar Cholq’iij from 2 pm to 3:30 pm. 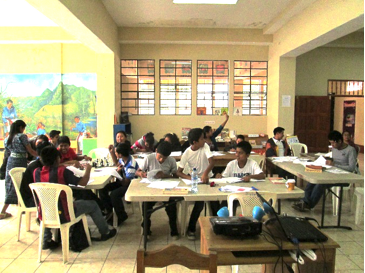 The workshop was developed through lectures, participation, and demonstrations to enliven the learning process. d) Development of questions regarding the use of the Mayan calendar and the role of naguales and energies in the lives of human beings and their relationship with nature. e) Formation of working groups and panel discussions with the topics discussed. 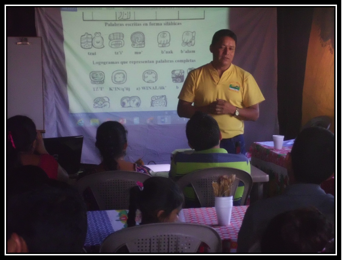 b) Basic information has been obtained regarding young men and women community leaders and their respective points of view toward the development of the municipality and their commitment to build and assert cultural models such as the use of the calendar according to their nagual and practicing hieroglyphic writing. c) Basic objectives have been met in the various areas and follow-up scientific/cultural workshops have been requested by the youth group. The beginning of the workshop. Doing the exercises of ancient writing of the ancestors Ojer Tz’ib’. Thanks to MAM for their faith in me to perform these kinds of activities, the financial resources were well used. May Ajaw bless all friends who financially support the MAM project. II. 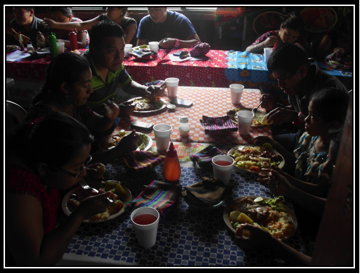 Informe del Taller Ojer Maya Tz’ijb ‘”Maya escritura antigua ” celebrado en San Juan La Laguna, Sololá. 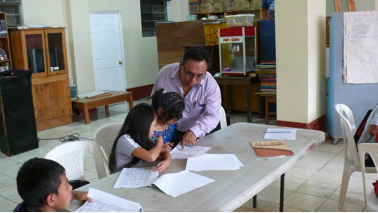 Acquire and develop expertise in the Ojer Maya Tz’ijb’ writing of our grandparents. Become familiar with the latest epigraphers’ syllabary to start writing words. 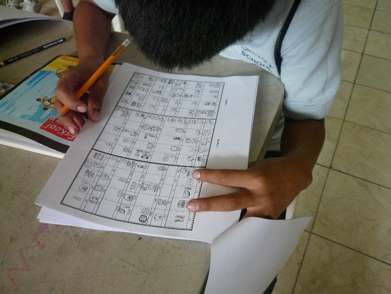 Identify mixed words to understand the combination of logograms and syllables and then write some words using this system. 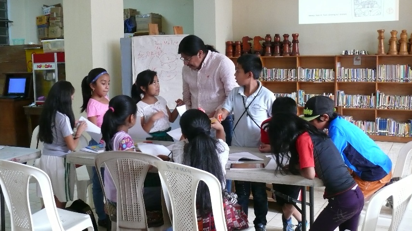 Financing was coordinated with MAM prior to the workshop, which took place in the municipality of San Juan La Laguna, Department of Sololá, in coordination with the leaders of the Community Library Rujatzul Na’ooj. 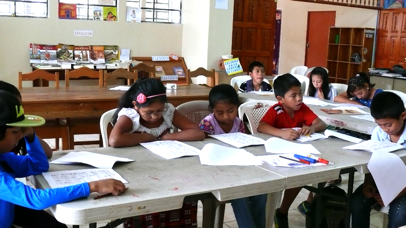 This workshop was developed for two groups, one with young people who are studying at the basic level and the other group, which is children. For the youth group it was necessary to give a little history of how the decipherment was started by epigraphers and the methods they used. 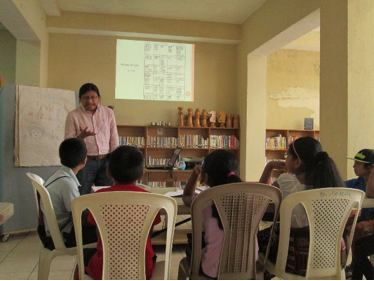 To understand this part, it was necessary that a linguistic analysis of one of the Mayan languages ​​was made including how to identify the verbal root and its inflections. This helped to understand how you could identify the parts of speech and how the glyphs were deciphered. Teaching material that our colleague Hector Xol has developed for different linguistic communities was used for this workshop, a workbook that begins to teach Tz’iib’ and its interpretation in the different languages ​​spoken in our country. It also explained some of the early history of hieroglyphic writing including that of other peoples of the Preclassic Period. Hector Xol with some explanations to participants. He also explained that writing is not only found on the stones but is also found on wood, bone, pottery, animal skins, paper, and others. The paper can be found in the codices, the best known of which are Codex Madrid found in the city of Madrid, and that called the Dresden Codex, because it is in Germany in the city of Dresden. 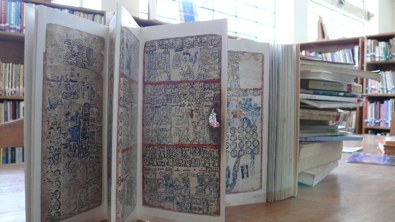 Photo of copy of Madrid Codex. In the writings of the codices that have been deciphered, the manuscripts are written in the language Yucateco from the post-classic period. Among the decipherments that have been made, we can find the syllables in the syllabary and logograms that represent whole words. There was also a presentation of syllables that are not in the syllabary but are used in current speech, which are qa, q’a and ra. Hector explains the structure of words. There was a presentation of the structures of words with some examples of words that have been deciphered, such as Ajaw, Ix, and others. You can find the syllables with the syllabary. 1. Dropping the vowel of the last syllable. The words are written with syllables but in reading the words, the vowel of the last syllable may be omitted so the word may end in a consonant. This principle is used to see how some words have simple vowels and some have complex vowels. 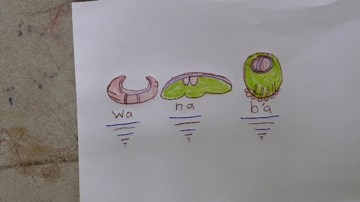 This principle teaches us that some of the words are written with repetition of glyphs, but this may be done for repeating the consonants, which is why we find repeated glyphs. 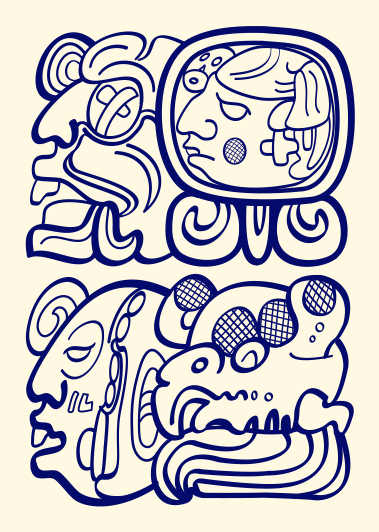 The mixture of signs are those where glyphs are embedded within other glyphs. It is a very important aspect of this type of writing and is very admirable. This is when we find a sign with multiple meanings. 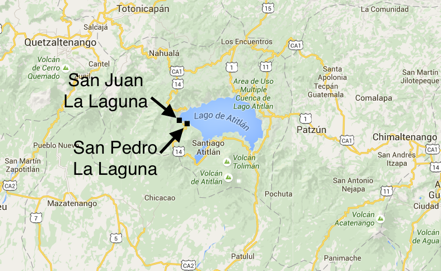 There are several of these that have been found in the research that has been done in decipherment. Andrés Cholotío helps with exercises. A number of exercises were given, such as copy a glyph that is already given, identify and copy glyphs using different structures, identify a glyph and write its name in Latin script. A number of exercises were given. 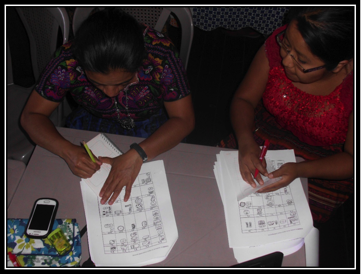 After the exercises several examples of syllables and logograms were presented by the participants who were very receptive to the teaching as can be seen by the results of their work. The participation of young people is very important based on the results achieved with them. There is great interest by young people and children in learning this new knowledge of Ojer Maya Tz’ijb’. As a team we are strengthened to continue working in the field of Ojer Maya Tz’ijb’. 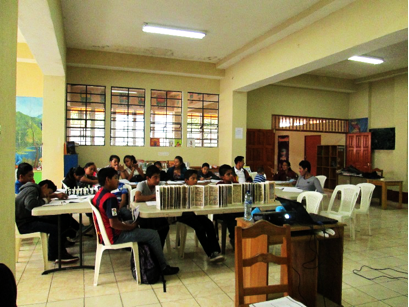 Communities should be encouraged to continue organizing such workshops. 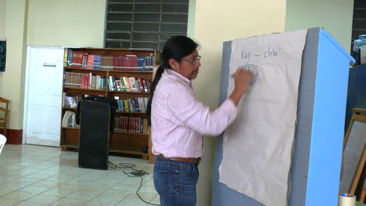 Systematize the knowledge that is taken to the communities. 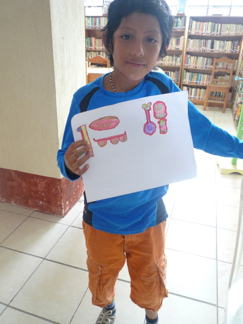 Hector writing the words kay and ch’uu, whicn is “fish” in Yucateco and Tz’utujiil. The group of youths viewing the Madrid Codex. The children giving much attention to that which is being explained.